Let's talk! 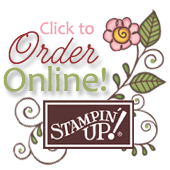 Have you seen the Stampin' Up! Holiday Discontinued Products List? What surprised you? I was a little taken back that the Nothing Sweeter Bundle and the Candy Cane Season Bundle are leaving so soon. I had big plans for Valentines Day and Birthdays using the Nothing Sweeter Bundle. And who isn't in love with the cute Candy Cane Season Bundle? Did I mention that these two bundles play especially well together? Wow, these Baker's Boxes are not only food safe, but they are also quite roomy. You can pack a lot of goodness in these 4-1/4" x 4-1/4" x 2-1/8" Baker's Boxes. Think donuts, cookies, chocolate and other sweet treats for Gift Giving at Christmas, Valentine's Day and many other occasions. They're good for anytime you need small gift packaging. But today, they are for Christmas Gift Giving. I'm thinking teachers, neighbor, secret sister and co-workers, just to name a few. My removable belly band and my heart and tree were all fashioned with Festive Farmhouse Designer paper. If you look closely at the tree and the heart, you will notice that they are not only cute shapes, but they also have a lovely stitched edge made with the Sweetly Stitched Framelits dies. The candy cane with the bow were stamped with Cherry Cobbler and Garden Green inks and punched with the Candy Cane Builder Punch. I also stamped images from both the Nothing Sweeter and the Candy Cane Season directly onto the Baker's Box. Note: The baker's box is a little smoother than regular card stock, so you may want to heat set your ink. I mounted all my elements on a Cherry Cobbler label cut with the Stitched Labels dies. And what about this Gift Bag and Tag? Aren't they just the sweetest? My bag was super simple to make with the Gift Bag Punch Board and Festive Farmhouse Designer Paper. I created a "cuff" to show off both sides of my handsome designer paper. Simply fold over the top before assembling to make the cuff. I once again stamped and punched a candy cane and box, but this time with Garden Green and Real Red Inks to match my fabulous Suite Season Specialty Washi Tape. I used a little piece of all 5 Washi Tapes, because they are all gorgeous and fun. I punched the top of my 2" Tag with the Scalloped Tag Topper punch and threaded a snippet of Festive Farmhouse Cotton Twine through the top.